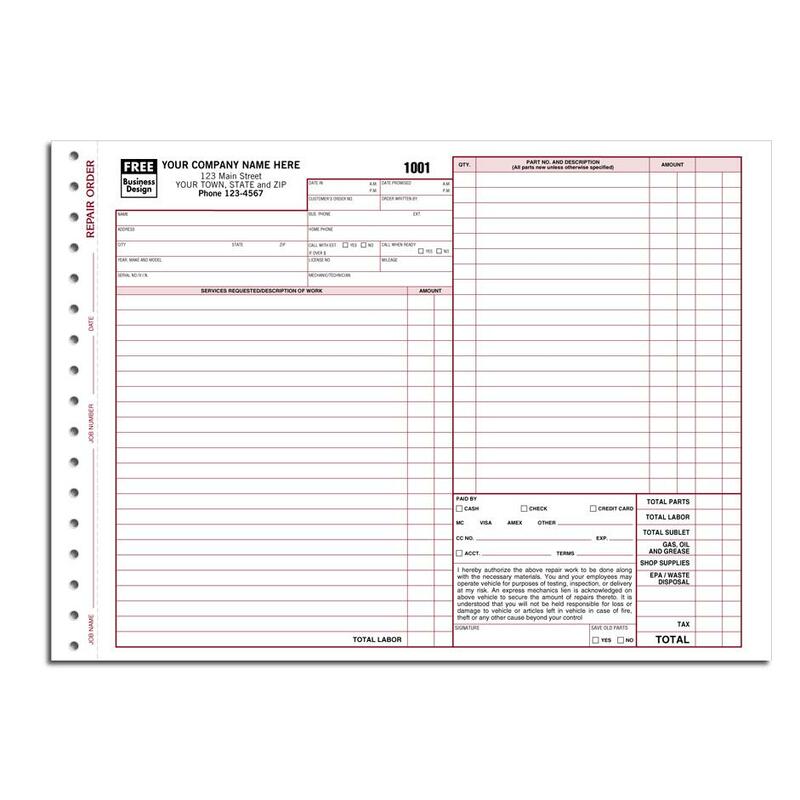 The detailed layout and content of this transmission repair invoice form will make your shop operate more efficiently. 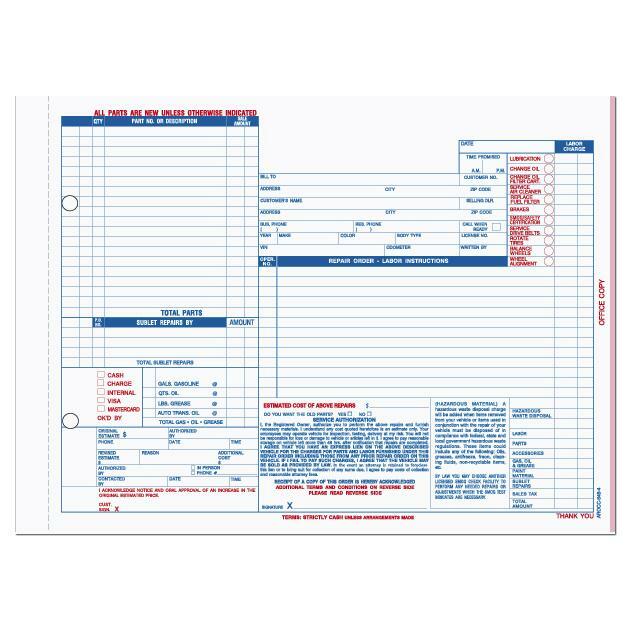 It is a preprinted template that will guide you in capturing the relevant information while conducting business. 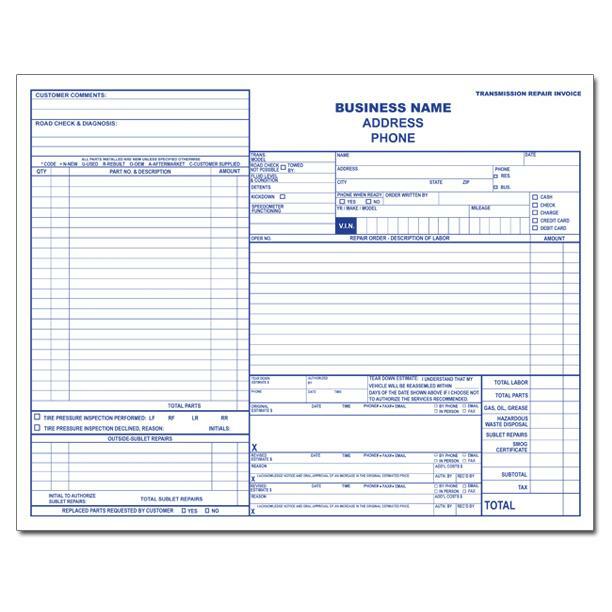 Personalize this form by adding your logo, company name, address etc. If you have an idea for your unique design, we would be more than happy to design and print it for you. 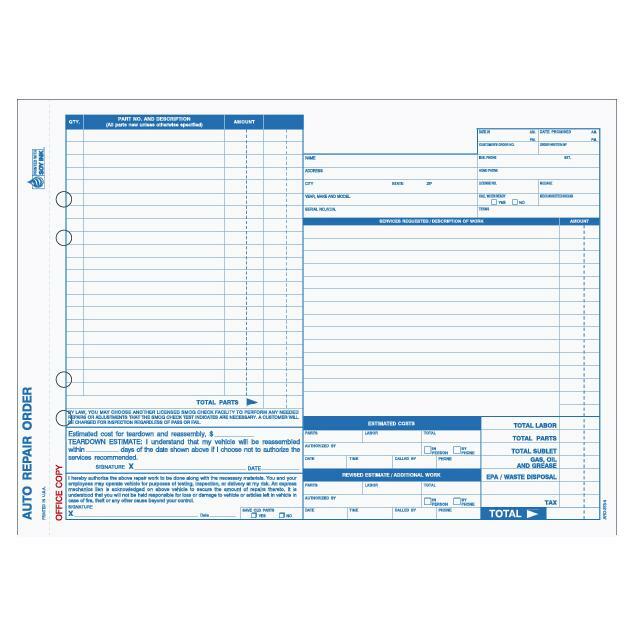 Email a scanned copy of your own form with any changes that you would like to add. It’s printed on superior NCR paper in 2, 3 or 4 parts. You also have options for perforations, hole drilling, numbering, booked etc. Order online now or Give us a call.